As unpredictable, fearless, and entertaining as their namesake, Le Chat Lunatique purveys an addictive genre they call “filthy, mangy jazz,” a signature sound that makes you want to smoke and drink too much—if only you could get off the dance floor. Le jazz hot of Django Reinhardt and Stéphane Grappelli is their north star, but they use that beacon to navigate through a wide range of genres, blending Western swing, classical, reggae, d00-wop, and “anything else we damn well please” into strikingly original compositions and audaciously reworked standards alike. 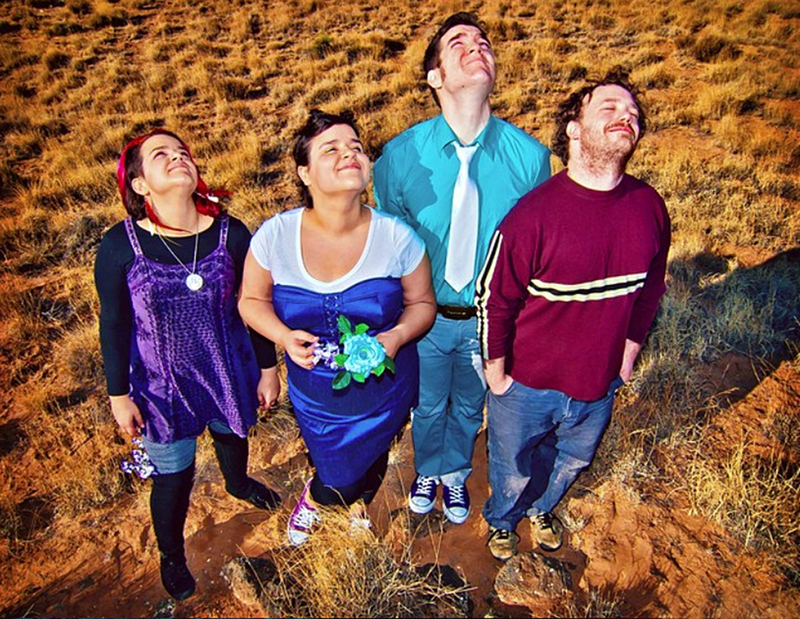 SAJHGB describe themselves as “a band of unbridled glandulosity. It’s a band that will make you reconsider how grossed out you are about the endocrine system.” They want to make your glands happy, and they are pretty good at it. Harrington plays ukulele, Putnam plays bass, both of them sing, sometimes extravagantly. Percussion, kazoo, whistling, and clarinet also make appearances. The colors are off in the desert, blown-out. It's the quality of the light from a brutal sun so close. In that weird glare, Ya Ya Boom grew. Maybe that's why the band sounds the way it does, the sonics vivid and warped, the beats like kernels in dry heat, the voices layered and saturated. It's a rock band. Vocals (Marisa Demarco), bass (Monica Demarco) and guitar (Carlos J.R. Garcia) and drums (Ryan Jarvis). But the clever timing, the orchestration, the atypical harmonies and the vocal brawn make it more difficult to nail down beyond that. Power prog pop? Maybe. Orchestral pop rox? Sure. Punk, like back in the day before the genre went rigid? Ok. Ya Ya Boom has been described all of these ways.